Ready for action all year round, play to your strengths and work hard on your weaknesses with the Team Tech Training Shorts. Made by VX-3 from polyester, a shell-like feel helps keep the shorts light on your legs while the mesh lining brings welcome support and breathability as the action heats up. With the inclusion of zipped side pockets, you've got somewhere to store the essentials such as keys, loose change and your phone. 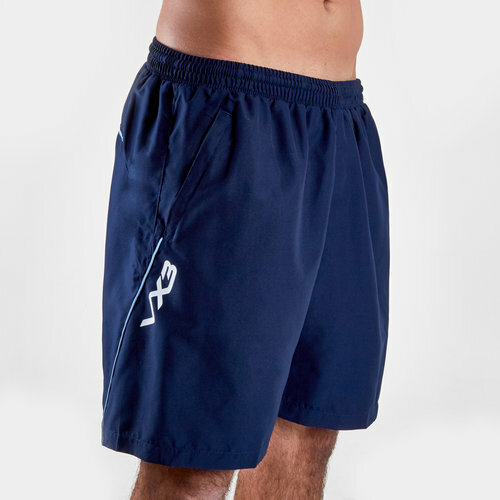 Sporting a solid navy look with sky details, the VX-3 logo is printed onto the right leg.